‘Associate Company’ Means Plus Art Limited being a company incorporated in England and Wales and registered under Company Registration Number 01200684 and whose registered address is 15 Forster Avenue, Beeston, Nottingham, NG9 1AE its agents and employees. ‘The Terms and Conditions’ The terms and conditions of use of this website from time to time published or notified to You. 1.2 reference to a person, includes a natural person, corporate or unincorporated body (whether or not having separate legal personality). 1.3 Reference to the singular is a reference to the plural and visa versa as the context so permits. 1.4 Any phrase introduced by the terms ‘including’, ‘include’ or ‘in particular’ or any similar expression, shall be construed as illustrative and shall not limit the sense of the words preceding those terms. 1.5 references to ‘in writing’ or ‘written’ includes faxes and emails. 2.2 The information We collect will be kept by Us. 2.3 You can use the Site as a Visitor without submitting your details but to get the most from the Site You will need to register as a Member at which time You will need to provide to Us personal information about You which may include but not be limited to Your name, address, contact telephone numbers, e-mail address, user name password (for use of the Site) ("Personal Information") which we will endeavour to keep secure. 3.2 We may wish to pass Your Personal Information to Our Associated Company. By ticking the box in the registration page next to the statement “I agree to You sharing My Personal Information with Your Associated Company” you consent to Us providing Your Personal Information to and being contacted by Our Associated Company. 4.1 We will automatically gather data such as Your IP address, which site You had previously visited, the kind of browser you are using, and statistics about how You use the Site (“User Data”). The User Data may be linked to the Personal Information We hold about You and used to Contact you for Marketing Purposes and help us improve the Site, the Information, facilities and services We offer and search functionality. 4.2 We may share anonymous User Data in aggregated form with current or potential advertisers to facilitate the functionality of the Site and to ensure that advertisements on the Site are more effective. Your Personal Information will not be linked to the User Data or provided to such third party advertisers. 5.1 When You first visit the Site We will automatically send You a cookie (a small text file which We create and send to your computer) which allows Us to recognise You when You come back to the Site. 5.2 In addition to the cookies We send to your computer some of our advertisers and third party advertisers will also send You their own cookies. You should ensure that You have read the privacy policies of any such third party organisation and understand how they will collect, use and store Your personal information. 5.3 If You are concerned about cookies You have the ability through Your browser to either reject all cookies or to provide a warning before any cookie is loaded on to Your computer but if you decide to reject cookies You may find that You will not be able to take full advantage of some of the features, facilities and services on the Site. If You have become a Member You can use your user name and password to access, view and edit the records and Personal Information We hold about you by clicking on the feature "Edit Your Profile". You can also terminate Your membership by selecting the applicable option on the “edit your profile” page, or by writing to Us in the ways detailed in the “Contacting Us” section of this policy. 7.1 You have a right to see a copy of the Personal Information We hold about You if you pay Us the fee set by law. If You wish to see a copy of the Personal Information We hold about You please write to the Data Protection Officer, propertyauctions.com Ltd, 15 Foster Avenue, Beeston, Nottingham NG9 1AE. 7.2 If We hold any Personal Information about You we will respond to your written request with information about what information we are holding, why we are holding it, who We can disclose the information to and give you a copy of the Personal Information We hold about You. 7.3 If the Personal Information We hold about You is incorrect You can ask Us to correct it by notifying Us in writing and sending it to the address detailed below in the ‘contacting us’ section. If You contact Us by telephone or by e-mail asking for assistance or for any other purpose We will ask for or take your Personal Information. As well as using Your Personal Information to help You, Your Personal Information will be used to Contact You for Marketing Purposes in accordance with Clause 3 of this policy. As a Visitor to the Site You will be able access limited details and information (as set out in the Terms and Conditions) without giving Us Your Personal Information. However, if You wish to access all the information and facilities offered by the Site or search or save properties to view at a later date, as and when such functionality is made available by Us, We will ask You for Your Personal Information including Your e-mail address which We may use to send You details of other properties You may be interested in. In addition Your Personal Information may be used to contact You for Marketing Purposes in accordance with Clause 3 of this policy. 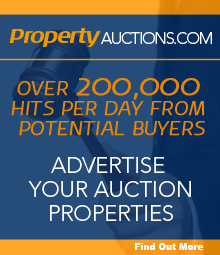 10.1 If you decide to take part in any property auction, place a bid(s) on any properties advertised on the Site for sale by any third party auctioneers or otherwise to apply for a service or buy a product provided by a third party who appears on the Site the third party will ask for details about You. If you consent, that third party will pass your Personal Information to Us. The Personal Information We receive from the third party may include data about Your use of their service which will be used to contact You for Marketing Purposes in accordance with Clause 3 of this policy. 10.2 We will only pass Your Personal Information to any third party (who is not an Associated Company) when You have specifically requested that We do so. Any notice or complaint or other communication required to be given to Us shall be in writing and sent to Us in one of the ways set out in paragraph 13 of this policy ‘Contacting Us’ except data requests which shall be sent by post only to the address specified in section 7 (Access to Records). Any complaint received by Us from You will be passed to the Manager from time to time responsible for handling complaints and other communications. Our Manager will contact You within 14 days of receiving Your communication which may be by e-mail or telephone. In the event that You are dissatisfied with Our Manager’s decision You may escalate Your communication to a director after 21 days. We shall use Our reasonable endeavours to deal with any communication notice or complaint by You within a reasonable time.